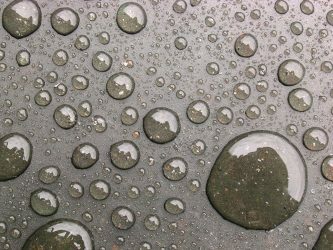 In a recent Georgia rainy day slip and fall lawsuit, a woman sued a major store after slipping and falling while shopping there. The case arose in 2013 when a woman slipped and fell at the store. It was raining earlier in the day. She came into the store, and the floor was dry there. She went down an aisle and slipped. Her fall resulted in her doing the splits, and she landed in clear liquid. Her pants were wet after she fell. The problem is rainy day cases in Georgia rarely succeed because everyone knows floors in stores are hard to keep dry when it rains! The store had surveillance footage of certain areas of the store, but not the place where she fell. The video showed her coming into the store, going across the floor mats and past caution cones, and then going down an aisle, but her fall was off camera. The store location was a large commercial establishment and had a large number of customers going through. Its policy was to immediately address spills and dangers, and staff were supposed to go through the store and clean and repair as necessary. On rainy days, the store would place orange cones and mats at the entrance to avoid slip and falls. Other areas were dry mopped. A manager stated that these policies were being followed as of the date of the plaintiff's slip and fall.According to the testimony of a Wal-Mart manager then employed at the store at issue, these policies were in effect and being followed on the date of the plaintiff's fall. A surveillance video showed an employee starting to mop the area where the plaintiff fell up to 26 minutes before her fall. The mopper testified that on rainy days, she ordinarily dry mopped the vestibule and the aisle that was the site of the fall. She usually looked for hazards, and if there was clear liquid in that location, she would have mopped it. The defendant filed a motion for summary judgment on the basis that it didn't have superior knowledge of the dangerous condition. The plaintiff conceded that there was no evidence that the store had actual knowledge. However, this motion was denied.The appellate court explained that to recover damages for a slip and fall, an invitee would need to show that the defendant possessed actual or constructive knowledge of the danger and that the plaintiff didn't have knowledge of the danger even though she used ordinary care because of things within the owner's control. As stated in an earlier case, the basis for liability is the property owner's supervisory knowledge about a condition that could subject someone invited onto the property to an unreasonable risk of harm. Since there was no actual notice, the case turned on whether constructive knowledge of the danger could be imputed to the store. Constructive notice can be shown by proving an employee was positioned nearby and had the opportunity to fix or remove the hazard. It could also be shown by showing a danger was there for so long that it would have been discovered in the exercise of reasonable care. The evidence didn't show there was a store employee in that area who had the opportunity to remove the water spill after an employee mopped the area. The plaintiff argued a jury could decide that the employee who mopped made a dangerous condition worse. The appellate court disagreed, explaining there wasn't any evidence that the liquid on the floor was associated with a store product. The employee had dry mopped, and there was no evidence that water had accumulated in the store. The defendant showed its inspection procedures were followed and were adequate. Athens slip and fall attorney Christopher Simon has considerable experience representing people who have been injured and families who have lost their loved ones due to negligence and other wrongful conduct, and he is prepared to assist you with a possible claim. If you believe you have a possibly meritorious claim and would like to discuss the options you may have for legal recovery, feel free to contact us to arrange a free case consultation.